Laminated 110g Non-Woven Polypropylene is water-resistant and easily wipes clean. They have an open main compartment with front slash pocket and 9” drop handles. 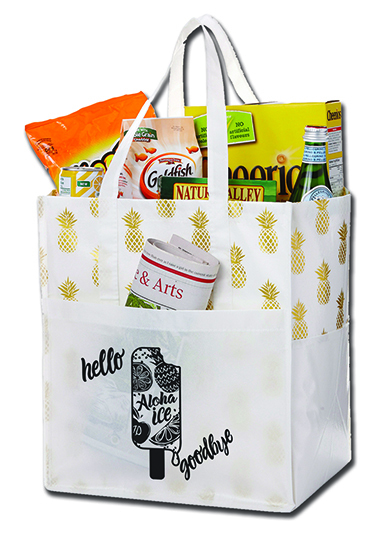 Our White Pineapple bag sparkles with Gold pineapples. 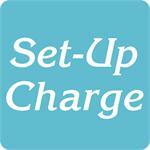 Size: 14 1/2" x 12 1/2" x 9"
For logos: Add a set-up charge of $55 on new orders; $25.00 on re-orders.